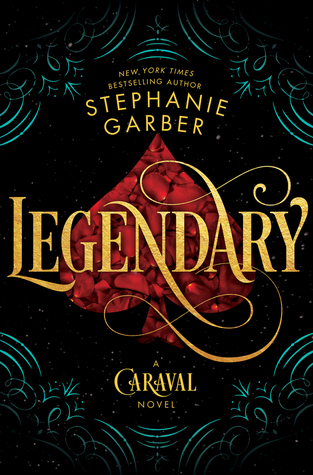 Legendary picks up pretty smoothly from where we left off in Caraval and I was happy to see that Garber didn't waste too much time retelling portions of the first novel. The novel starts with a bang and I have to say, the stakes felt much higher. The game is different, the setting is different, and it even felt a little darker. I loved hearing about the game from Tella's perspective because she is a little more daring and willing to take risks and just a badass character all around. The novel is full of twists and turns that are very different from the last novel and I loved how Garber kept me guessing from the very beginning. There were many more secrets and lies in this novel and I loved seeing Tella's character growth as the story unfolded. 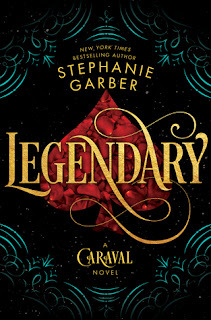 Caraval was a fascinating story, but Legendary really took a few steps above it for me because of the deeper elements like introducing the fates and the deck of destiny. I think this portion of the novel made the game more interesting and I couldn't get enough. Legendary was an entertaining and well thought out novel filled with twists and turns. It constantly left me wanting more and wondering what was real and what was fake. I can't wait to read book three! I highly recommend this series if you enjoyed The Night Circus by Erin Morgenstern. Thank you to NetGalley and Flatiron books for sending this novel in exchange for an honest review.